We offer website design exclusively developed on the WordPress platform. It has become the most popular alternative to standard HTML website design. Best of all, WordPress offers an economical way to create a multi-use website that you can easily update. If you want customers to find you, WordPress websites are easier to optimize for search engines such as Google than standard websites so for “SEO” it is the way to go. 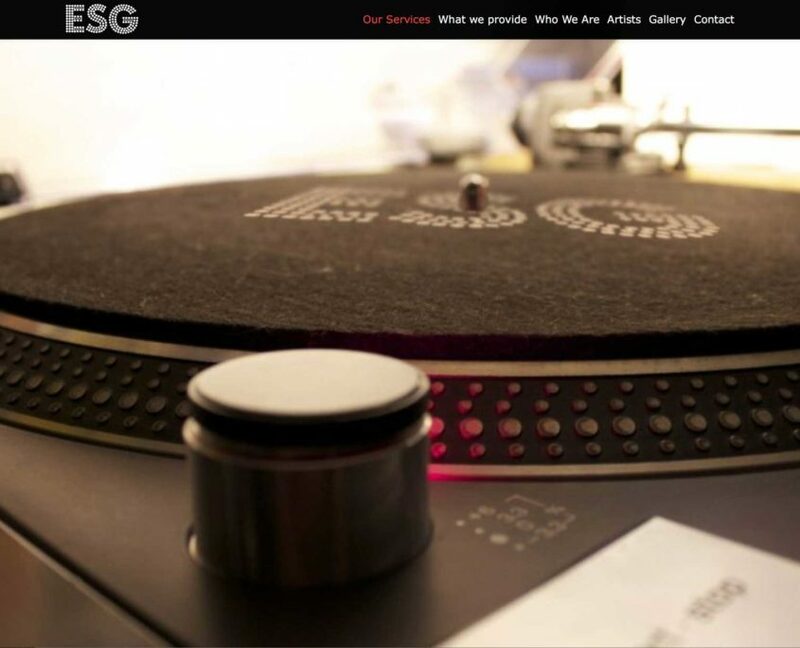 Brief: A quick and punchy website for an entertainment management group. The project was a salvage operation as a previous designer had abandoned the project. The company reached out to us to rectify the situation and a live site was up and running within 3 days. The site has a lot of potential and discussions are underway to implement new functionality. A Sydney Icon needs an iconic website. 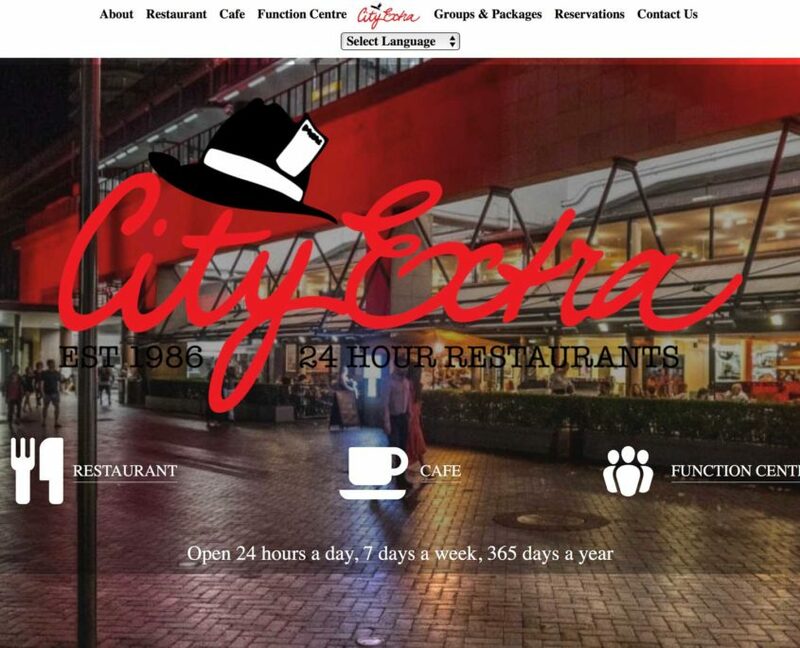 It is safe to say the City Extra website would be one of the busiest cafe / restaurant sites in Sydney. With foot traffic, tourist groups, cruise ships etc. all visiting the iconic Circular Quay Cafe. Several in-house software & hardware one of a kind solutions to manage the high traffic restaurant and kitchen. Brief: A simple and clean website which is both user friendly and informative for parents, students and teachers alike. A few challenges in regards to working with internal processes and finding the best way to seamlessly integrate a new site into existing office processes. As with all our projects this is an ongoing project which has expanded to cover SEO and ongoing marketing efforts. Brief: A simple clean website, dealing with all things Cuba. The client is trying to position themselves as a gateway to Cuba from the Asia Pacific region. the Development was complicated due to Cuban cigar sales on site, So we had to tread carefully in regards to the presentation of tobacco related products and on site age verification. Brief: A simple clean website, Social Media Integration, SEO Optimisation, Logo Tweaking, Marketing collateral, Reservation System. Email marketing subscription forms and template creation / management. In what we believe to be a first 360 Italian requested a way to manage their banquet customisation. We created a custom banquet selector which allows end users to select courses, meal packages etc. online. As this is a first, it is a work in progress and we continue to work closely with 360 Italian to ensure all customer and restaurant requirements are met. ** Take a look at www.360italian.com.au for our banquet customiser, which allows end users to choose a base banquet and customise their courses and requirements, saving the restaurant time and allowing the customer to have total flexibility and design choices over their function. Brief: A simple clean website, Social Media Integration, SEO Optimisation, Marketing collateral, Email marketing subscription forms and template creation / management. 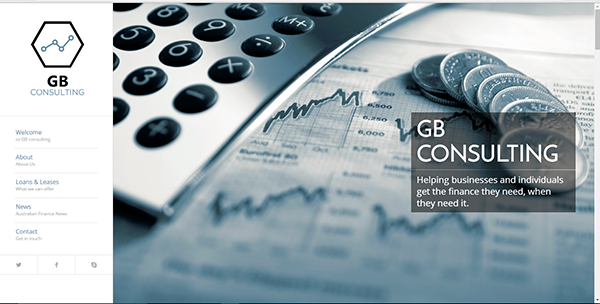 Brief: A simple clean website, Social Media Integration, SEO Optimisation, Logo Design, Marketing collateral, creation of form based financial calculators, Email marketing subscription and group management. 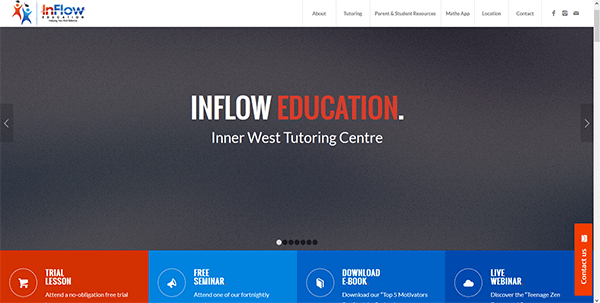 Brief: A simple clean website, Social Media Integration, SEO Optimisation, Logo Design, Marketing collateral, creation of form based financial calculators, payment gateway integration. Email marketing subscription forms and template creation / management. Brief: A simple clean website, Social Media Integration, SEO Optimisation, Logo Design, Marketing collateral, payment gateway integration. Email marketing subscription forms and template creation / management. 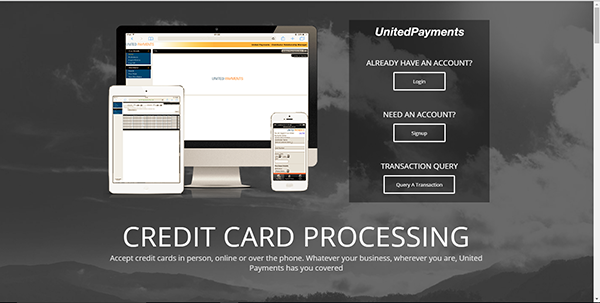 Client Area creation with user management and collateral retrieval availability. ** We treat all sites and work as client based work, so when it came to creating this site we treated it no differently to any other site we have ever worked on. Our approach is simple, build a site that we would happily use ourselves, A site we can be proud of. Which in turn is a site you can be proud of. 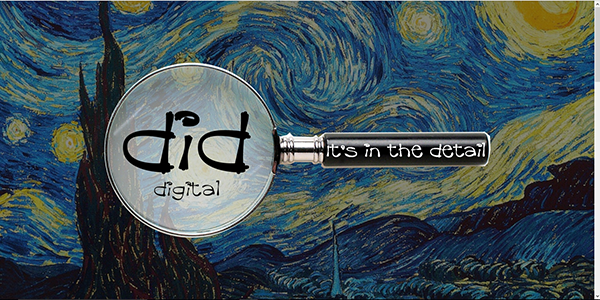 Our key focus for successful web design means your site will include the following. Who Knows your business better than you do? As a company we prefer to collaborate with our clients instead of telling them what is right and wrong, we will always provide design tips and ideas, but ultimately you know the image you want to present. Our job is to make that image a reality. We have encountered many instances where businesses have paid other designers a lot of money to create a website, unfortunately the delivered product has fallen short of expectations. This is why we choose the collaboration path as opposed to the “we are web designers, we know best”. A business specialist will sit down with you (or contact via Skype video call) to discuss your requirements. We will ask you how you would like your site to look. i.e. comparable to your competition, a new fresh design etc. We will go away and come back with ideas in regards to layouts etc. Once you are happy with our direction we will proceed to develop and deliver your site. Obviously once development has commenced small tweaks and alterations will occur, this is the nature of design, but if we have done the above correctly DiD-Digital and you, our client should be quite happy with the finished product. We exclusively use WordPress, there are a lot of designers who refuse to do this and even more who refuse to admit they use it. A site which in the past could take months to develop using standard html etc. can now be created in WordPress within weeks, or if it is a one page site it could take days. In 2014 there were 76 million websites running WordPress worldwide, this number increasing at a rate of 50,000 new sites a day since then, as of 2016 WordPress sites account for 26% of all websites online. 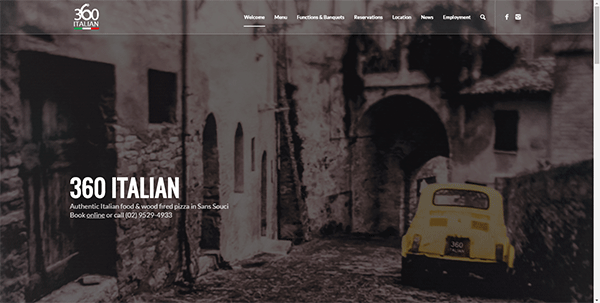 In respect to design, there are tens of thousands of themes available, one of which will suit your needs, and if not one can be modified to suit your needs. Hosting a WordPress site is not costly, most web hosting companies allow you to install WordPress with a single click. Patches and security updates can be automatically applied. If you wish to move your site from one hosting company to another you can do so by simply clicking an export button, or in many cases your new hosting company will do this for you automatically. Ultimately there is still a high degree of skill and finesse required to create a great WordPress site, having a vision and an eye for detail is a must. Although WordPress is great it is not perfect, there are areas where HTML and CSS stylesheets may need to be altered and edited to make the site sit just right and images and content have to be sized and scaled to get it just right, but we do love a challenge. Our aim is to deliver a great WordPress site to you and your business, a site that you can manage directly and not have to incur additional fees for future edits and updates, or if you do wish for DiD-Digital to manage and host your site we can do this also for a small monthly fee.